Members of the Team Lakay martial arts stable made a splash at the 2018 Global Martial Arts Awards in Singapore on Thursday. Leading the way was Eduard Folayang, who took home the Martial Arts Hero of the Year award, beating the likes of Singapore’s Angela Lee, Australia’s Martin Nguyen, Myanmar’s Aung La N Sang, Japan’s Tenshin Nasukawa, and Henry Cejudo and Daniel Cormier of the US. 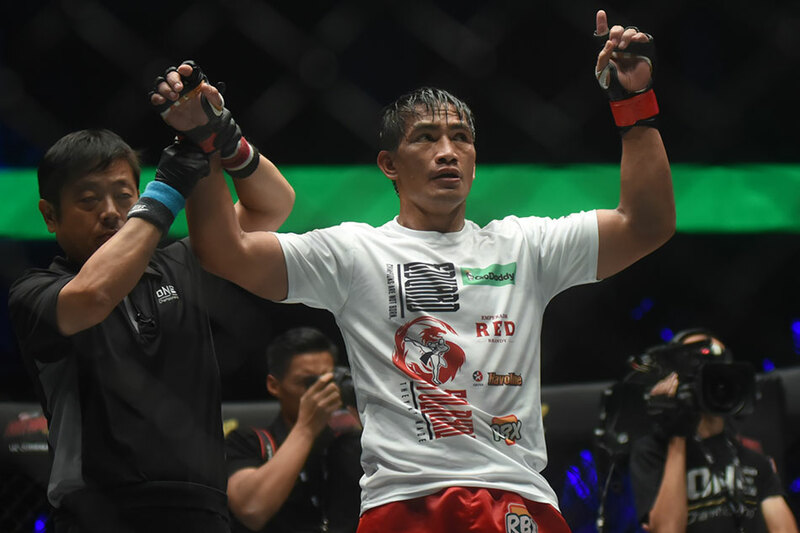 Folayang is due to fight Singapore’s Amir Khan for the ONE Championship world lightweight title in Manila on November 23, with a shot at recapturing the throne before the year ends. Besides Folayang’s recognition, Team Lakay was adjudged Gym of the Year, Mark Sangiao Coach of the Year, and Joshua Pacio won for Submission of the Year for his victory over Pongsiri Mitsatit. Other winners include Aung La N Sang (Male Athlete of the Year), Angela Lee (Female Athlete of the Year), Brian Ortega (Knockout of the Year), and Aung La N Sang versus Ken Hasegawa (Bout of the Year).